Jon Bon Jovi, a musical legend, accused Steve Jobs of being “personally responsible for killing the music business”. His harsh and peaceable announcement was published in his interview in Britain's Sunday Times. Jon Bon Jovi frankly sets out his consternation at 21st century’s disappearance from music distribution on physical media and towards omnipresent download portals. Bon Jovi's nostalgia excels through in his detailed account of the "magical" experience of picking up records and enjoying their sweet touch and relaxing analog tones. It’s unknown, how he misses out the fact that CD’s were the first to devastate his record collection, not the downloads. 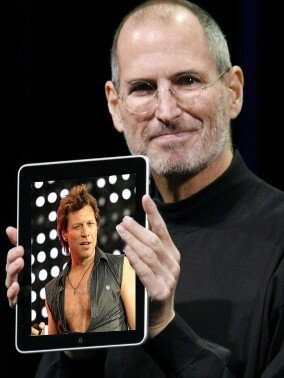 Still, Bon Jovi thinks Apple's iTunes success is to blame for the thrashing of our collective blamelessness and eagerness for music. This is the subject of discussion... Do Not Hesitate To Have Your Say!